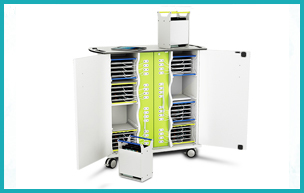 Classrooms, breakout areas, out and about anywhere. 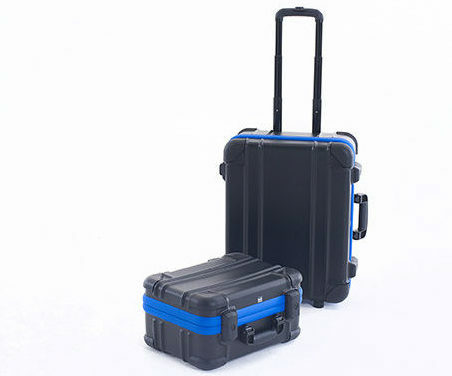 The zioxi transporter cases are designed so you can move your iPads around safely either inside or out. Available for upto 16 iPads or tablets, with Apple certified integrated USB power. 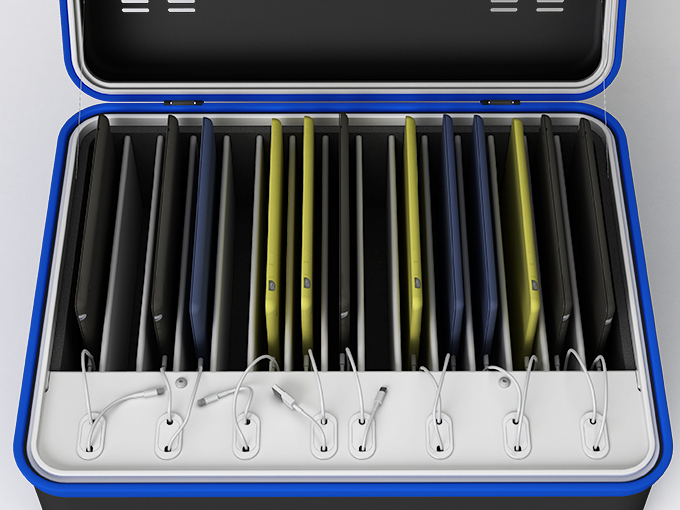 The unique zioxi cable management port means only a short length of USB cable is presented to users for each tablet. 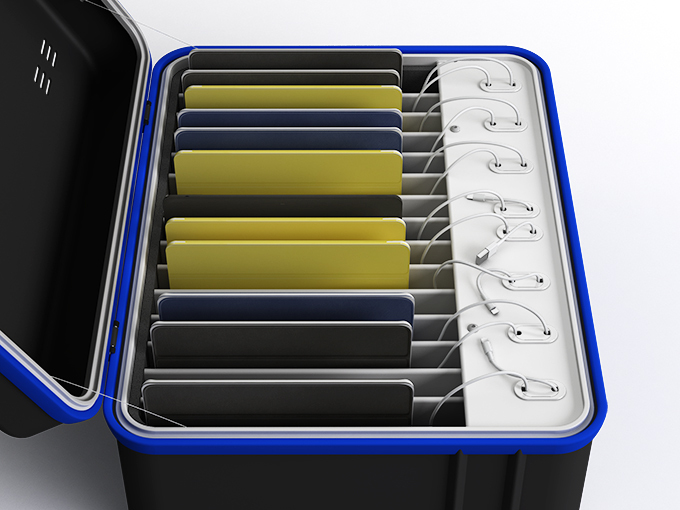 Cleverly designed case ventilation means you can charge with the lid closed. 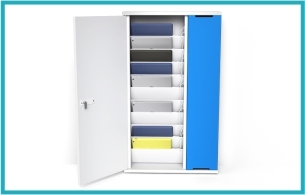 The 16th storage bay is wider so can be used for the mains cable & plug or storing and charging an iPad or tablet. 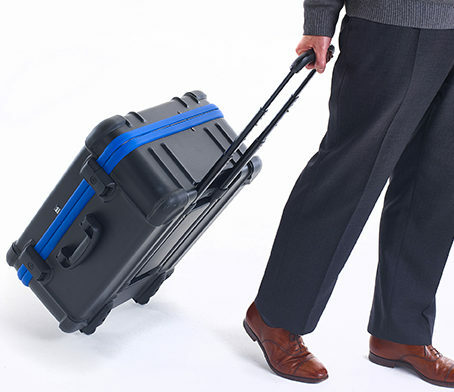 Robust, lockable, compact, cost effective and surprisingly light.